The land mass properly called “America” extends from the northern tip of Greenland to Cape Horn (properly Cabo de Hornos) at the southern tip of Chile and covers two continents. 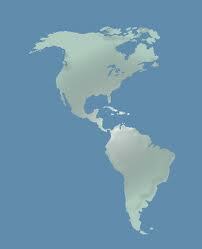 Besides the United States and its territories, Greenland, and Chile, it includes Anguilla, Antigua and Barbuda, Aruba, Bahamas, Barbados, Belize, Bermuda, British Virgin Islands, Canada, Cayman Islands, Clipperton Island, Costa Rica, Cuba, Dominica, Dominican Republic, El Salvador, Greenland, Grenada, Guadeloupe, Guatemala, Haiti, Honduras, Jamaica, Martinique, Mexico, The Netherlands Antilles, Nicaragua, Panama, Saint Barthelemy, Saint Kitts and Nevis, Saint Lucia, Saint Martin, Saint Pierre and Miquelon, Saint Vincent and the Grenadines, Trinidad and Tobago, Turks and Caicos, Argentina, Bolivia, Brazil, Chile, Colombia, Ecuador, Falkland Islands, French Guiana, Guyana, Paraguay, Peru, Suriname, Uruguay, and Venezuela. None of these countries or territories arrogates to itself the right to call itself “America,” though all have the same–or better–credentials as the United States to do so. To pretend that “America” or “American” refers exclusively or even principally to the United States is gravely erroneous, and when the people of the United States do it it’s impolite. This is the most elementary geography and most everybody in the world is aware of it except the people of the United States themselves, who have seen fit to co-opt the common name for the peoples of two entire continents for their own private use. This belies a cocktail of ignorance and arrogance which is considered inappropriate in advanced democratic societies. Not to worry, there are solutions. The Latin Americans have already come up with a term for the Americans of the United States which distinguishes them very accurately from the rest of the Americans north and south: “gringo.” I doubt, however, that the people of the United States are apt to adopt such a derogatory term for themselves. There is another, more palatable, solution, however. The inhabitants of the United States need only change the current usage when referring to their country and themselves. There are perfectly good terms available without grabbing the entire linguistic village commons of all of the Americas for themselves alone. What they glibly refer to as “America” is clearly the United States, so calling that country by its proper name solves half of the problem. The other half can be righted by another simple measure. I suggest they adapt a variation on the Spanish linguistic custom of “gentilicios,” which attributes generic names to the people and things from different places. Just as the people of Madrid are “madrileños,” those of Cádiz are “gaditanos,” and those of New York are “Neoyorquinos,” the people of the United States as a whole are referred to as “estadounidenses.” So, by the same token, let the citizens of the United States refer to themselves in English as “United Statesians.” That way they can proudly refer to their own country without stepping on the toes of millions of American neighbors. We trust that these new linguistic measures–much more in keeping with the proud United Statesian democratic traditions of fairness and justice–will be implemented within 90 days. P.S. Neither is the “World Series” the World Series. It’s the United Statesian Series.